Chechens in Aidar Battalion: Wake up Ukraine! Chechens from the Aidar Battalion – Ukraine, wake up, the enemy is dangerous and cruel! Summon your heroic sons to protect independence! 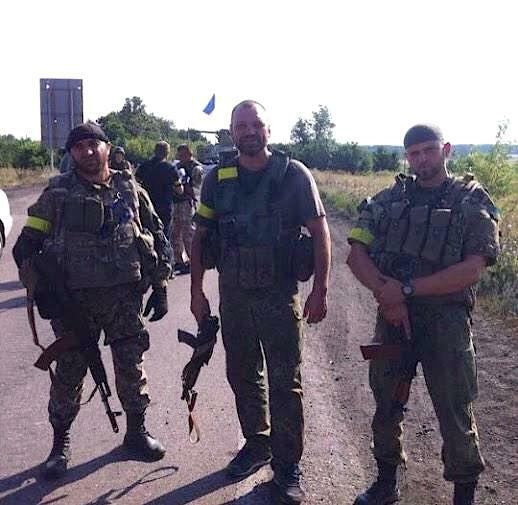 This entry was posted in English, Eyewitness stories, Pictures, South&Eastern Ukraine, War in Donbas and tagged #RussiaInvadedUkraine, #RussiaViolatesCeasefires, Aidar Battalion, Chechens in Ukraine, Ukraine. Bookmark the permalink.